San Francisco is full of museums and galleries and concert halls and theaters. But if you look around you’ll find even more art on street corners and in back alleys. If you enjoy treasure hunts, you just might like what you find on the street more than what you’ll find inside. Check out these bits and pieces of my favorite discoveries in SF. 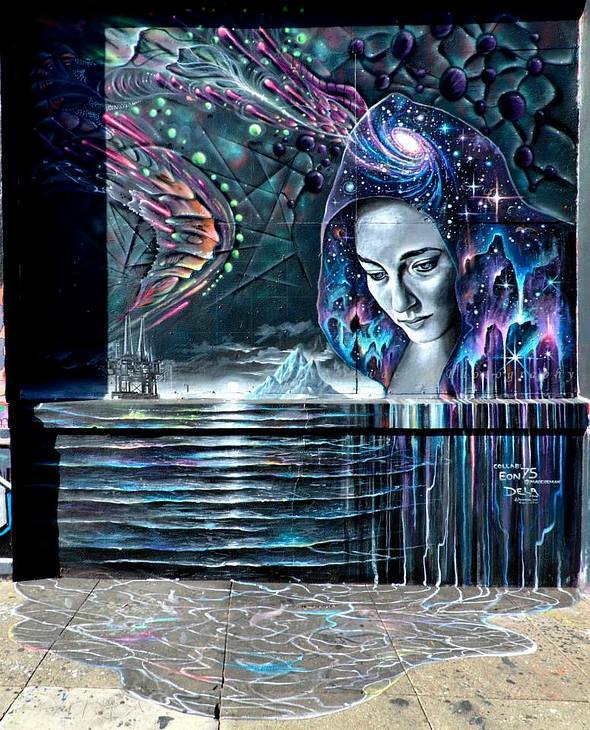 Clarion Alley has provided a local canvas for the last 20 years. Art is ever changing in a neighborhood filled with shops and awesome restaurants. Make an afternoon of it…and thank the people of CAMP for their good works in the local art scene. British Artist Andy Goldsworthy, in conjunction with The Presidio Trust and For-site Foundation, creates art in place and he has graced the Presidio with three of his unique installations over the course of the last several years. 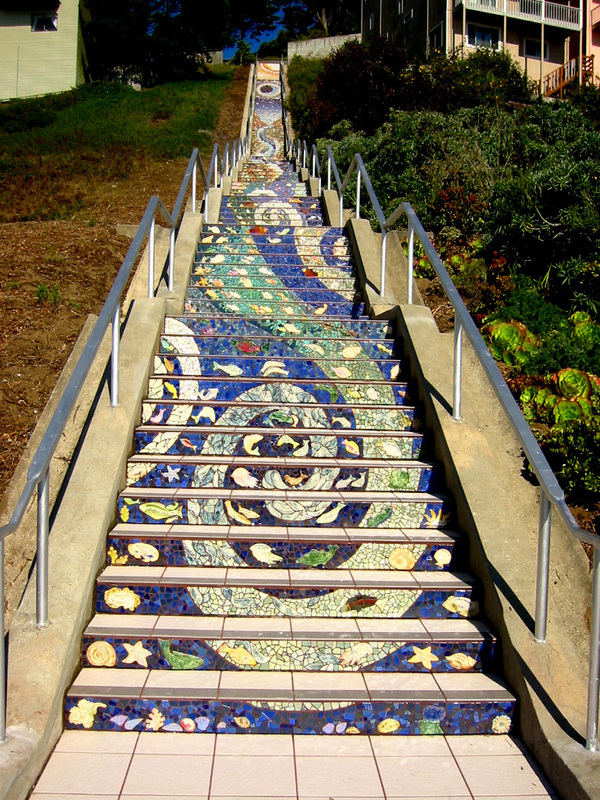 Several years ago the Golden Gate Heights Neighborhood Association and their fiscal sponsor, The San Francisco Parks Trust, worked with locals to create this beautiful mosaic stairway. Visit it at Moraga and 16th Avenue. The Hotel Zetta opened early 2013 on 5th Street next to the Westfield Shopping Center. 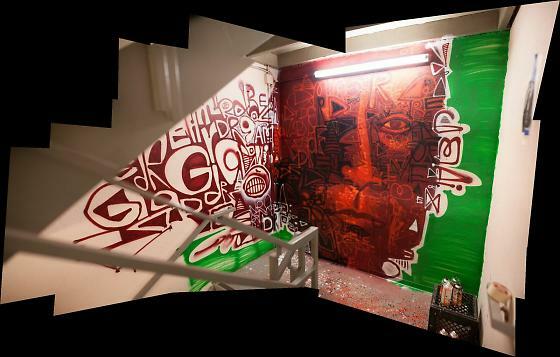 It’s young and hip and has a very cool stairwell by a prominent (now) local artist, Jonathan Matas. When the great fire of 1906 followed the earthquake, much of the city burned as fire hydrants ran dry. This little hydrant at the corner of Church and 20th saved the Mission District. As reward it is repainted gold once a year at 5:12 am on April 6th, the time that the earthquake hit. 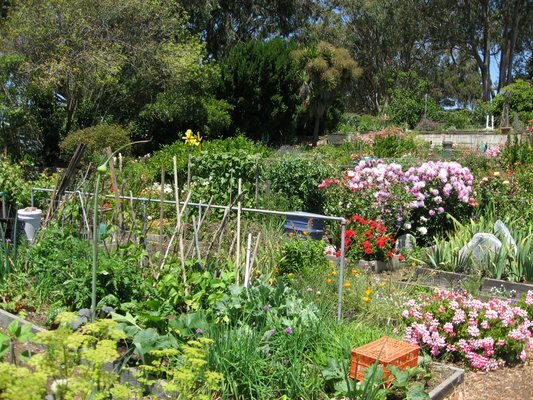 The Fort Mason Community Garden is made up of 125 plots most of which are 20′ x 5′. There is a 7-8 year waiting list for a plot. No pesticides are allowed and each gardener must plant at least two seasons per year. These are some serious gardeners growing both flowers and edibles. And yes, gardens, in my opinion, are art. Created by Peter Richards and George Gonzales in conjunction with The Exploratorium, this 1986 musical sculpture is worth a little walk out onto the Marina jetty. Just check the tides first because they create the music. Enjoy my little tryst through San Francisco. Let me know if you discover other little gems you’d like to share. Have a great week! And don’t forget about Dining Out for Life tomorrow. vacation in color dining out for life tonight!